Meet Swimming World’s Summer 2018 Journalism Interns! This summer, Swimming World had the pleasure of working with a gifted group of 21 journalism interns who submitted stories every two weeks and delved into feature writing, race analysis, training studies and event coverage. A large percentage of Swimming World’s most-read online content was written by our stellar interns. Our army of interns significantly improved our ability to cover swimming and diving events worldwide! Here’s a bit about each writer along with their favorite article they published this summer. *Please e-mail Kristy Kinzer at kristyk@swimmingworld.com if you’re interested in writing for us this upcoming school year. Brian Palaschuk is a Canadian swimmer currently competing for the University of Regina where he studies economics and English. As a swimmer, Palaschuk represented Canada at the 2016 Junior Pan Pacific Championships. He also coaches 10-and-under swimmers at his home club, the Regina Optimist Dolphins. Palaschuk excels in the medley and freestyle events, aiming to represent Canada at the 2020 Olympic Games. He is a huge swim nerd and is always open to talking stats, preditions and all things swimming. Read Brian’s favorite article he wrote for us by clicking this link: The Best Race Strategy for a Top Finish. Makena will begin her sophomore year at Kenyon College in the fall of 2018. She swims on Kenyon’s varsity swim team and competed at DIII NCAA’s her freshman year, earning herself an All-American title in the 100 breaststroke. She is planning on majoring in biology and minoring in Chinese. hiking to 13,000ft mountains in Colorado, scuba diving and free diving for lobster during lobster season, and of course swimming for Hurricane Aquatics. She loves the outdoors as much as she loves writing and can’t wait to get back to school at the University of Florida to study journalism and find a career path that brings her two passions together. Bailey Duran is going into her sophomore year at Liberty University this fall. She is majoring in journalism with a minor in digital media performance. She is greatly looking forward to working on campus as the news director for 90.9 FM The Light and hopes to have an internship with Fox News sometime in the future. She is a Christian who hopes her faith is reflected in her writing. In addition to writing, Duran loves spending time with her three sisters, friends and animals in Colorado. Although she doesn’t swim competitively anymore, she loves watching her sisters accomplish their goals in swimming and rifle shooting. Mac Robertson is a native of Zeeland, MI who is now a third year student at Albion College. He is pursuing a degree in Communication Studies and Sociology. He swims freestyle for the Britons. His favorite swimming memory was winning the 2017 Michigan Intercollegiate Athletic Association conference title for the first time in 46 years. Nick Pecoraro has been swimming since he was in middle school and has been in love with the sport since the start. After starting swimming, he knew that it would be forever a part of his life. Currently in his junior year at Calvin College, Pecoraro swims breast and IM for his team. Since the age of 14, his favorite and best event is the 200 breast. Pecoraro is studying kinesiology with aspirations to have a career in the swimming universe. When he’s not in the water, he loves listening to all types of music and occasionally plays the piano. Giulia is an incoming senior and economics major at Williams College, returning from a full year abroad at the University of Oxford. Hailing from Italy but spending the bulk of her life in South East Asia, Giulia competes for the Oxford Dolphins and Williams Ephs in the freestyle events. Giulia is currently surviving a hectic summer in London, where she is balancing an internship at a Credit Rating Agency, writing for Swimming World Magazine, preparing her senior thesis, completing graduate school apps, and trying to stay remotely in shape. Writing for SW has definitely been the highlight, allowing her to unleash her inner nerdiness and craze for the sport. Read Giulia’s favorite article she wrote for us by clicking this link: How Much do Swimmers Improve in College? Born and raised in Cancun, Mexico, Daniela Navarrete has been swimming since she was two. Moving to Panama as a teen opened the doors for her to be part of a national team and compete on the international stage. Afterwards, she made it to the NCAA Division II level in the U.S., swimming as part of Limestone College as a freshman. Now, she will continue swimming at Lewis University in Romeoville, Illinois. Apart from the water, her hidden passions are music and food. She enjoys any type of genre and could sing or dance to most of them. A foodie by nature, Navarrete finds joy in every meal she eats – food is art! Kayla Riemensperger was born in Tokyo, Japan and has lived all over the world. She has a twin brother who is also one of her closest friends. In her spare time, she enjoys working out, whether it’s swimming or lifting weights or an intense spin class – you name it! She loves animals, especially her 17-year-old chocolate lab Max. This summer, Riemensperger got very involved with rescuing dogs from animal shelters and helping people who foster these animals to care for them. She hopes to someday have a career that involves writing and animals, because that would be a dream job! The little time I have spent in the swimming community has been an amazing time. I fell in love with the passion and the positive energy of the swim culture. I’d like to thank Swimming World for allowing me to write about my passion. I look forward to my last two years at Kalamazoo College and my continuing involvement in the swimming community. Kate Walter is a 15-year-old swimmer from Northern Virginia, and this is her first year interning for Swimming World. She’s a sophomore at Stone Ridge School of the Sacred Heart – the same school that Katie Ledecky went to – and swims for Machine Aquatics. When she’s not underwater or writing at her desk, Walter enjoys running for her school’s cross country team, eating açaí bowls and hanging out with friends. The summer league swim season is her favorite time of year, and there’s nothing she loves more than cheering on her team, the Langley Wildthings. Walter wants to thank all of her amazing friends and coaches who gave her inspiration for stories this summer. Read Kate’s favorite article she wrote for us by clicking this link: Summer Swim Leagues, Had Me a Blast! Isabelle Robuck is a student-athlete at the University of Nebraska at Omaha. Majoring in exercise science with a minor in journalism, she plans to finish her senior year at UNO in the water and looks forward to her future in Omaha. Go Mavericks! McKenna Ehrmantraut is a sophomore at the University of Puget Sound in Tacoma, Wash. In the pool, she is a distance freestyler and backstroker. Ehrmantraut is double majoring in English and communications with a passion for the written word. Outside of the pool and school, she love to travel, spend time with family and friends, and help animals find their forever homes. Eamonn Keenan is a rising second-year student at Kenyon College from Chicago, Ill. He is currently majoring in philosophy with a concentration in law and society with a minor in Chinese. He is a competitive swimmer of 13 years and has recently finished his first season as a member of the Kenyon Lords swim team. 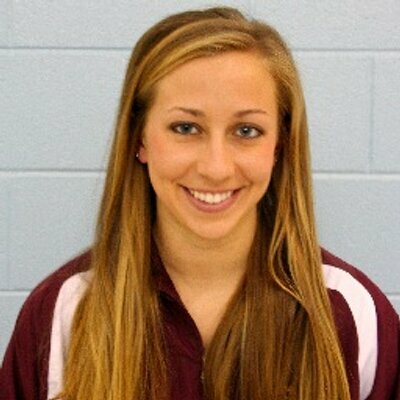 Since high school, Keenan has become an avid follower of both collegiate and international swimming, religiously checking Swimming World and collegeswimming.com every day. He hopes that he can continue to be involved in the sport in some form throughout the rest of his life. Brie Harnden is a freshman swimmer at UMass Amherst where she’s majoring in biomedical engineering. She has three dogs, her favorite color is tie-dye, and Crocs are her shoe of choice. She likes to attempt gluten-free and dairy-free cooking. Harnden loves to re-read her favorite book (The Magic Strings of Frankie Presto by Mitch Albom) and re-watch her favorite show (The Office) despite her New Year’s resolution of trying more new things. While she is getting more interested in hiking mountains, she still prefers to drive to the summit. Swimming has been Harnden’s passion for the last decade and will be for the rest of her life. Las Vegas native Kelsey Mitchell is a rising junior and swimmer at Lake Forest College. She primarily swims mid-distance freestyle and is majoring in English. Abigail Sheridan lives for swimming. As a coach and swimmer on her summer league and winter club teams, she loves every minute she spends on the pool deck and in the water. She will be starting her freshman year at Siena College this fall, joining the division one program under Coach Paul Kueterman. Abi loved this internship and being able to explore many topics of swimming through writing. Payton Titus is a 17-year-old swimmer and Hodgkin’s Lymphoma survivor from Jacksonville, Florida. She’s a short-axis kind of girl with with the not-so-short-term goal of making a name for herself in the sports journalism community. Kevin Donnelly swam competitively for eight years and remains involved in the sport as a year-round and summer league coach. Kevin has coached swimmers ranging from ages 9-18 for the Marlins of Raleigh, including multiple National Junior Team members and Olympic Trials qualifiers. He has also coached his local summer league team since the age of 14. Jamie Kolar is a sophomore at the the University of Illinois. She swims backstroke and freestyle and is a 2106 Olympic Trial qualifier in the 100 backstroke as well as a multiple state record holder in Illinois. Michaela Morrison is a rising junior at Denison University majoring in global commerce with a minor in Spanish. She enjoys exploring new interests and engaging with those she meets.